200 yuan is a series of investment coins presented of China in gold and silver. Due to the unique design and excellent performance, as well as low circulation, they are very popular not only among investors, but also among collectors from all over the world. 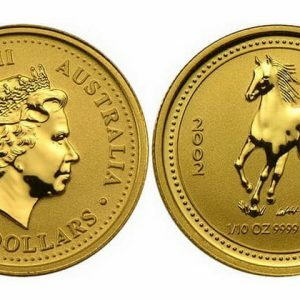 Especially popular is the “Panda” – money and precious metals, which are valued on a par with the Australian “Kangaroo”, the American “Eagle” and the Canadian “Grizzly”. 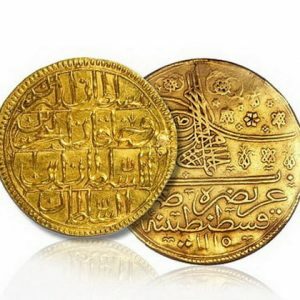 The first investment coins appeared in 1967 and immediately became in demand on the international market. Samples of precious metals of the highest standard were named after the president of Transvaal (South African province) – Krugerrand. It was assumed that the purpose of release would be the possibility of privately owning gold reserves for wealthy US residents (from 1933 to 1974 in the United States it was forbidden to buy and keep bars and precious metals, the ban did not apply to foreign coins). Krugerrand had all the characteristics for a profitable and reliable investment. The weight of the first copies was 1 troy ounce. Did you know? Coins of precious metals in China are used for rituals and as gifts for major holidays (wedding, anniversary or child birth). Money is presented in a red envelope. At weddings, the bride is thrown with special coins, wishing her all the best in her future family life. In 1982, the Mint of China (ShenZhen) joined the production of investment coins. The People’s Bank of the country issued the creation of a Chinese gold “Panda” – a sample of precious metal with the image of a traditional “bamboo bear”. The first series of coins produced limited editions (1982 – 10,000 pieces). The surface adorned the animal in its natural habitat. Investors and collectors praised the quality (metal sample was 999/1000) and the style of execution. Did you know? Marco Polo was so impressed with the monetary system of China, as well as with the beauty of some banknotes and coins, that a whole chapter of his “Great Book” was devoted to describing the money of this country. A few years later the Chinese coins of the Golden Panda series became so popular among those who wanted to invest money in liquid assets that the circulation increased markedly. Gradually, three Mints of China, located in cities such as Beijing, Shanghai and Shenyang, were additionally connected to the minting. At the same time, there was no production stamp on the money – the distinctive features were minor differences in the writing of the font of the year and the steps of the Temple of Heaven. 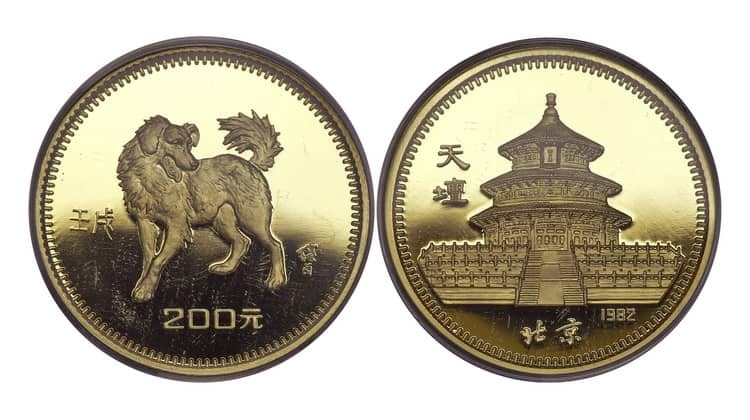 Gold Pandas 1982-1985 attributed to rare gold and silver Chinese coins since the first editions were trial. 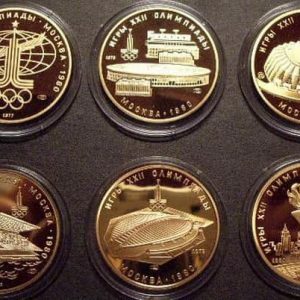 The series is so popular among collectors that the cost of some samples is three times the current value of the precious metal on world markets. Even in spite of the fact that some samples were subject to improper storage (without using containers and weak), prints and scratches remained on their surface, the final cost does not depend on this indicator. Did you know? Paper money is currently used in China: 1 fen (rare), 2 fen (rare), 5 fen (very rare), 1 jiao, 2 jiao, 5 jiao, 1 yuan, 2 yuan, 5 yuan, 10 yuan, 20 yuan, as well as 50 yuan and 100 yuan. Until 1949, a paper note with a price of 200 yuan was popular. Today, the nominal value of 200 yuan is preserved solely in investment coins. The first series of “Pandas” of gold were minted as Uncirculated, and later engravers significantly improved the design and quality of the coin. Modern Chinese gold and silver coins produced as Proof, Proof Like, Brilliant Uncirculated and Ultra Cameo. Did you know? In colloquial Chinese, the name “yuan” is used very rarely, replacing the more popular word “Kui”. You can also find a reduction in monetary units of China CNY and RNB. CNY – “yuan” is the basic unit of any currency. RNB – “Renminbi” is the official name of the Chinese currency (in renminbi translation, “people’s money”). In 1990, a series of 200 yuan coins (250 pieces in circulation) appeared, depicting traditional mythical animals symbolizing China – the dragon and the phoenix. The dragon in Chinese culture is masculinity, strength, success and good fortune. Phoenix personifies femininity, immortality, longevity and prosperity. Mythical creatures are located in a circle of coins opposite each other, recalling two opposites – the symbols of Yin and Yang. On the reverse there is a spectacular view of China and one of the main sights – the Great Wall of China. The building was erected during the rule of the Qing dynasty (at the end of the III century BC), and rebuilt during the Ming dynasty (XIV-XVII centuries AD.). The wall served as a stronghold against the northern Mongol tribes and a tool to control trade. Since then, the building has received the status of an international symbol of power and one of the greatest achievements of China. 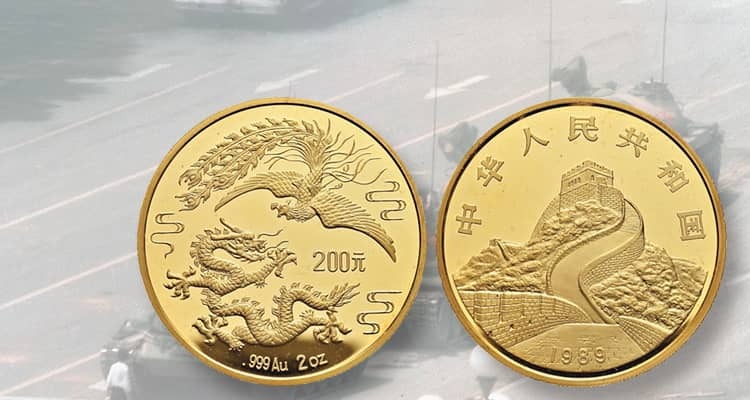 The world-famous collection of gold coins of China “Moon series” in 2005 (Rooster) and in 2006 (Dog) was replenished with copies of the value of 200 yuan. Collectible samples minted from the highest grade precious metal (999/1000). A total of 8,000 pieces were minted. Remarkable form of coins in the form of a flower Inside is an image of the traditional symbols of the Eastern calendar. Embossing quality – Brilliant Uncirculated. The weight of the coins is 1 troy ounce. Gold and silver “Pandas” with a denomination of 200 yuan are distinguished by a wide variety of designs. For such features, not only investors but also collectors prefer to buy coins. Since 1982, the image on the front side has been changing (with the exception of 2001 and 2002). The first editions were decorated by one panda in different poses (sitting with a bamboo branch, lying, drinking water from a stream, hanging on a branch), copies of the last years of release contain two and three “bamboo bears”. Did you know? The 1991 Chinese gold “Panda” with a denomination of 10,000 yuan was sold on April 30, 2001 for 1,600,000 $ USD at an auction held in Tokyo (the cost of the melt would cost $ 270,000). 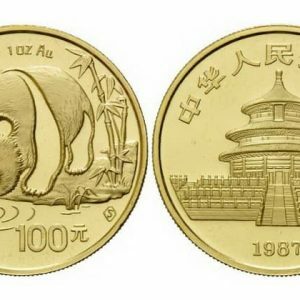 The coin, whose weight was 5 kg (176.37 ounces), is one of ten copies issued in honor of a decade since the release of the first gold run of the Panda. On the surface of the collection sample, “bamboo bears” are arranged in a circle. All of them correspond to 10 previous issues of “Panda”. The number of gold and silver “Pandas” increases annually. The first series consisted of 10,000 copies, the 2016 edition is 70,000 units. The price of China’s investment coins of 200 yuan is the sum of the precious metal value and the rarity of individual items. High demand for some samples and small circulation are the main indicators for price increases. On average, the new “Pandas” of gold sell for 548 $ USD, the old ones start at 1,500 $ USD, “Outstanding personalities” – 800 $ USD, the Moon series – 620 $ USD, and “Phoenix and the Dragon” – at 2,000 $ USD.